I wear rashguards every time that I train. Gi or nogi, it doesn’t matter. I wear half a dozen rashguards every week and I’m pretty rough on them. My typical rashguards last about 4 to 6 months before a seam pops or begins to unravel. Sadly, some have only made it a few sessions before going into the pile of unusable gear. Finding one that’s affordable, comfortable and budget friendly is very important to me and probably to you as well. In this review I’ll be looking at Apollo Fight Gear’s rashguard. 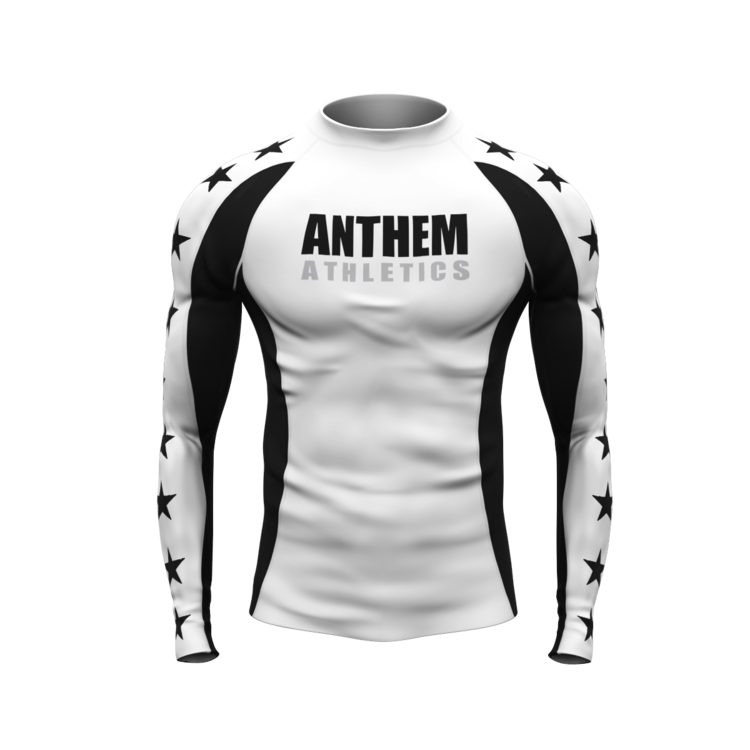 It’s fully sublimated, has extra torso length, comes in long-sleeve or short-sleeve and is only $30. Apollo’s rashguard is 100% polyester and constructed of 6 separate panels. There is a red panel under each arm. The extra panel is intended to provide extra mobility and comfort. The fabric is a little heavier than many rashguards and has slightly more compression than my lighter rashguards. The front features Apollo’s Greek inspired octopus logo. This logo is ~6 inches in diameter and fully sublimated. The back has “Apollo Fight Gear” and the Alpha within an Omega symbol on it. These graphics are also fully sublimated and cover the top half of the rashie. The seams at the wrists are typical of other rashguards and the seams at the panels are double stitched flatlock. The Apollo FG rashguard is essentially your standard rashguard. It does have extra length in the torso and I didn’t have to pull it up while rolling. The fabric is a little heavier and warmer my other rashguards. This is likely due to it being 100% polyester. I actually like the extra compression/tightness. The graphics look the same now as they did when the shirt was first shipped out. The double stitched flatlock seams connecting the panels is bombproof and done in a way that you don’t notice the seams while rolling. As I’ve said before I really like to support small companies that you may have heard of. Apollo FG is one such company. Mark provides excellent personal service to his customers and his products are consistently of high quality. When you have the opportunity to support a fellow jiu-jiteiro, why wouldn’t you? Apollo Fight Gear’s rashguard is high-quality, budget-friendly & comfortable rashguard. The fact that they’re only $30 for the short-sleeved or long-sleeved is a huge bonus. 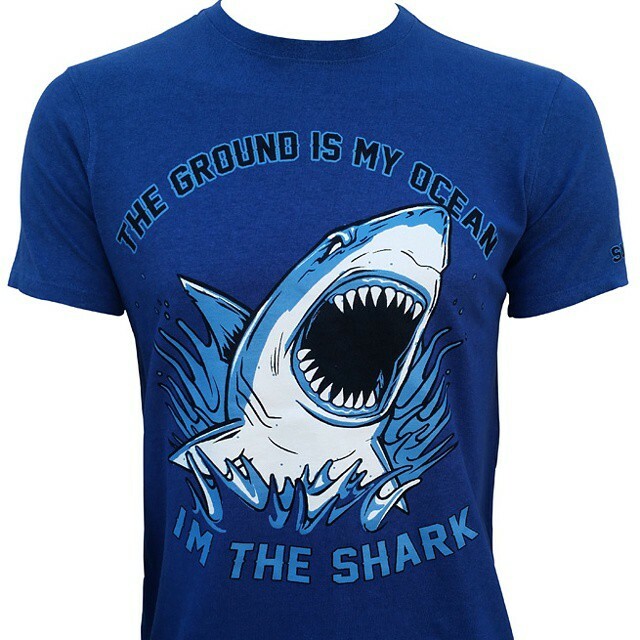 You could buy two, shipping included, for the cost of a single “premium” rashguard. Not a bad deal. Next time that you’re in the market for a new rashguard check out Apollo Fight Gear at their website, Facebook or Twitter.